iPad users get multitasking, app folders, Game Center, and the new AirPlay and AirPrint. The update to Apple's mobile operating system brings more than 100 iOS 4 features to the iPad for the first time, including multitasking, app folders, unified inbox, Game Center, and new features such as AirPlay and AirPrint. 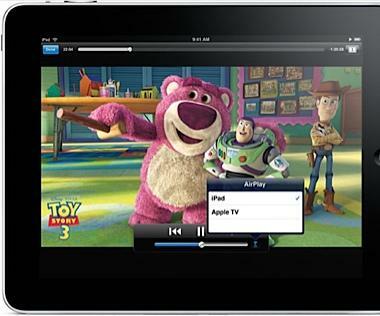 Apple iPad users running iOS 4.2 can also rent TV episodes directly from the iTunes Store. The migration even offers a few treats for select iPhone and iPod Touch users, such as an iOS 4.2-compatible Find My iPhone app that helps you track down your missing device. To get the iOS update on your device, make sure you are running iTunes 10.1 and then just sync your iOS devices. You should then be prompted to install iOS 4.2. If it's not available, try the sync process later in the day. Here's a look at the highlights from Apple's iOS 4.2. If you own an iPhone 4, iPad or new iPod Touch (4th generation, late 2010) you can use Apple's Find My iPhone service for free without a Mobile Me subscription. Find my iPhone lets you locate your lost device on a map, have your device make a sound so you can find it or even have your device display a message such as "I'm lost help!" All you need to do to use the service is download the Find My iPhone application from iTunes. Finally, iPad users will be able to listen to music on Pandora while surfing the Web, checking Twitter or reading e-mail thanks to iOS 4.2's multitasking feature. IPhone and iPad Touch users have had the feature for some time, but this will likely be a welcome addition for iPad users -- despite the debate over Apple's approach to iOS multitasking. Similarly, iPad users can also group apps into folders to save on screen space and pack more applications onto their devices. For a complete rundown of multitasking and folders check out PC World's iOS 4 review. Apple is hoping the release of iOS 4.2 will help the company sell a lot of new iPads heading into the holidays. Company CEO Steve Jobs recently said, "iOS 4.2 makes the iPad a completely new product, just in time for the holiday season." But the big question is whether people are willing to line up for an iPad when a refreshed tablet device from Apple is rumored to be coming in early 2011?